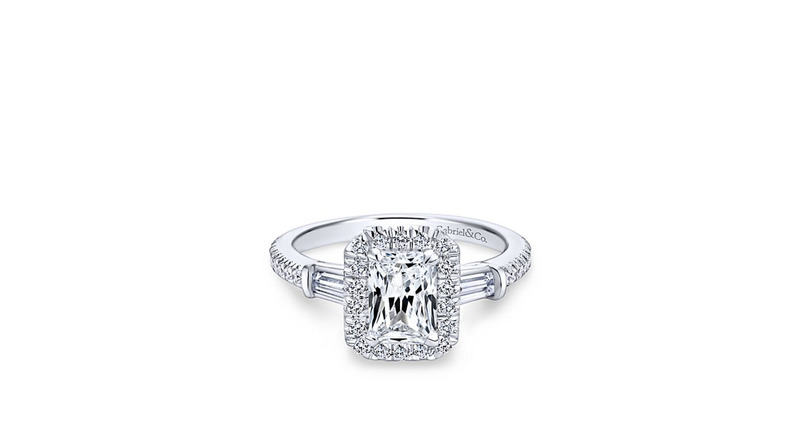 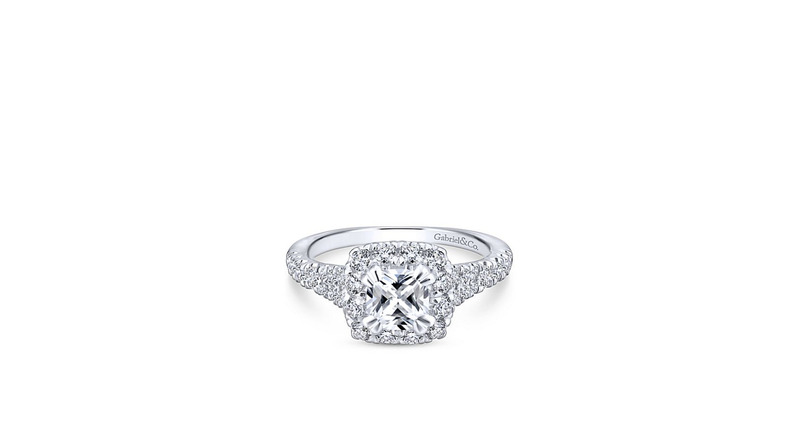 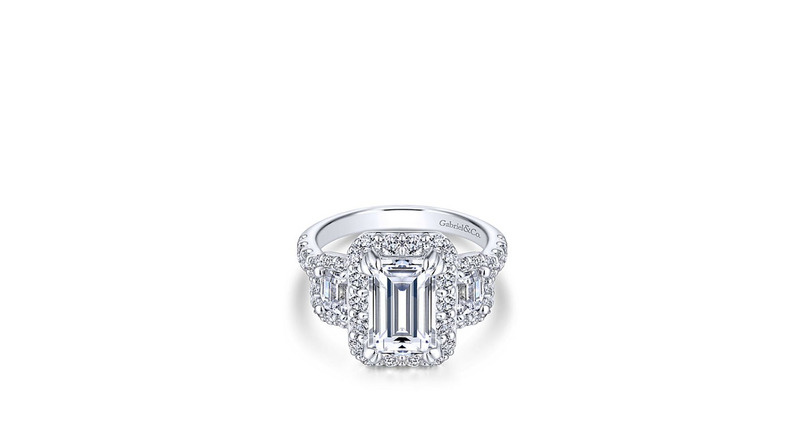 This emerald cut diamond engagement ring is enhanced by a pave diamond halo. 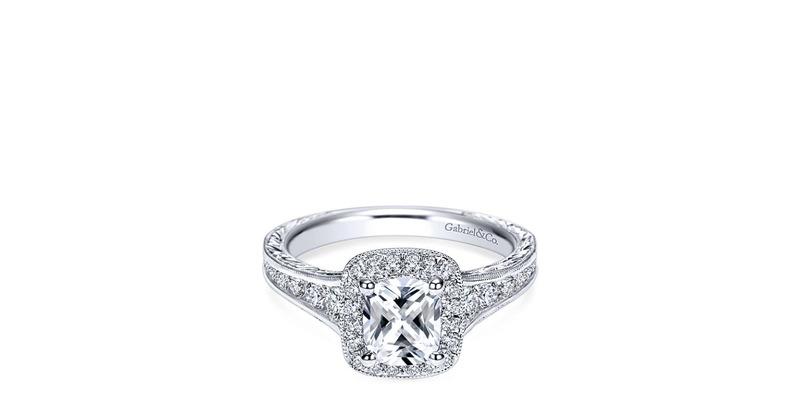 A pair of diamond baguettes and a band with pave detailing provide a alluring feel to this ring. 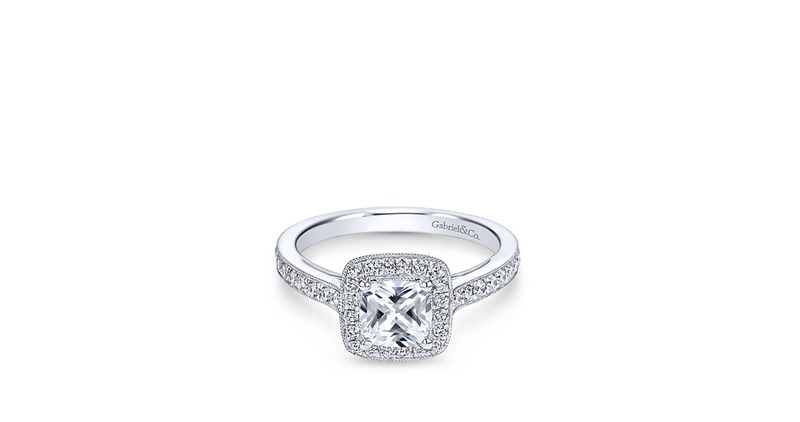 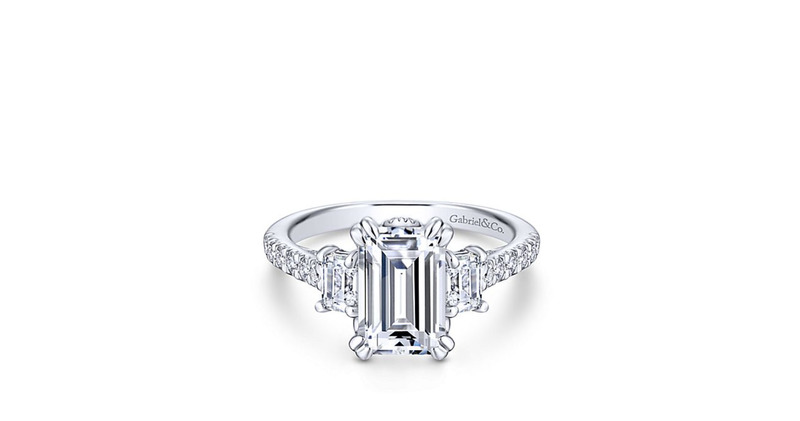 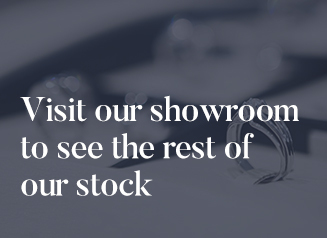 A trio of emerald cut diamonds shine atop this timeless three stone ring. 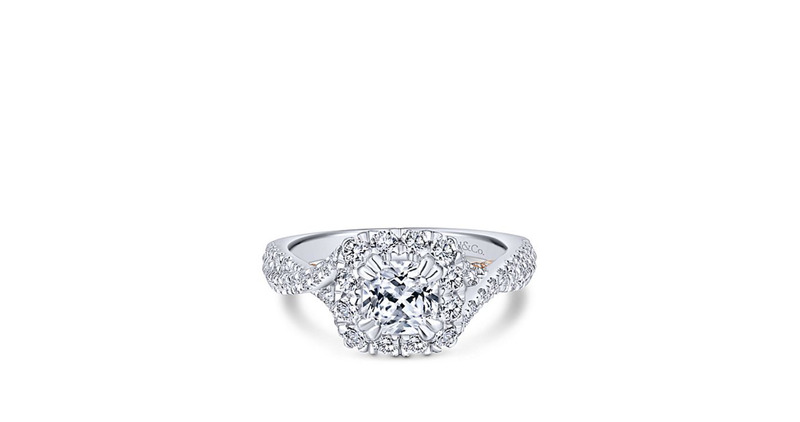 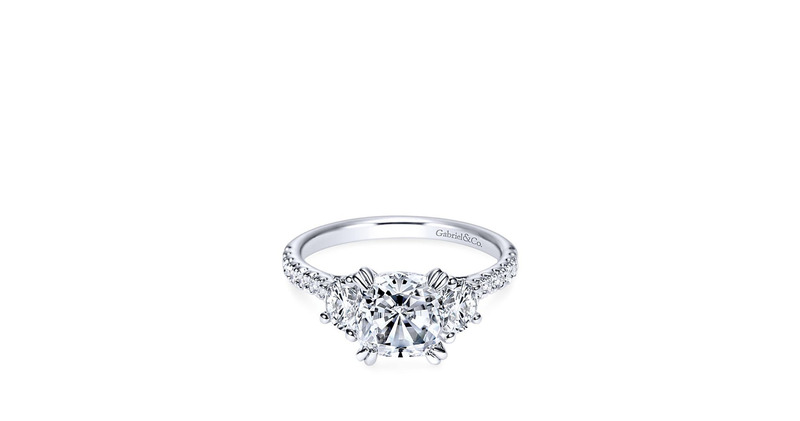 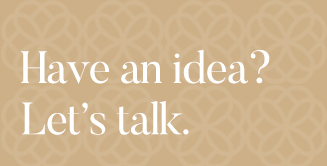 A scalloped pave diamond band increases the glitz and glamour.